Brand new poster and featurette featuring Johnny Depp, Gwyneth Paltrow, Paul Bettany and Ewan McGregor for MORTDECAI, released on January 23rd. 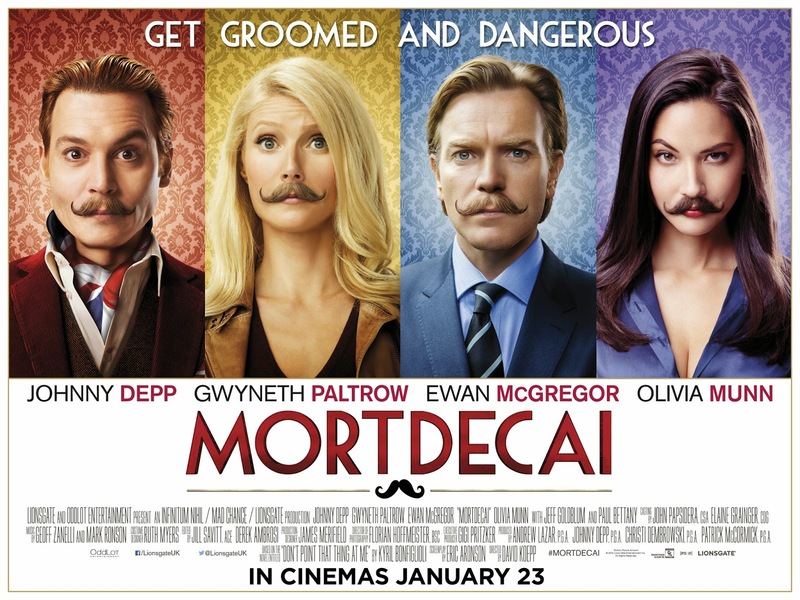 Mortdecai stars Johnny Depp and is based on the book series The Mortdecai Trilogy. Directed by David Koepp and also starrin Gwyneth Paltrow, Ewan McGregor, Olivia Munn, Jeff Goldblum and Paul Bettany, it will be released in UK cinemas on January 23rd 2015.